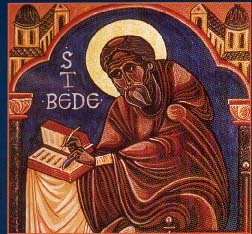 VENERABLE BEDE, the illustrious ornament of the Anglo-Saxon Church and the first English historian, was consecrated to God at the age of seven, and intrusted to the care of St. Benedict Biscop at Wearmouth. He became a monk in the sister-house of Jarrow. While there he trained no less than six hundred scholars, whom his piety, learning, and sweet disposition had gathered round him. To the toils of teaching and the exact observance of his rule he added long hours of private prayer, and the study of every branch of science and literature then known. 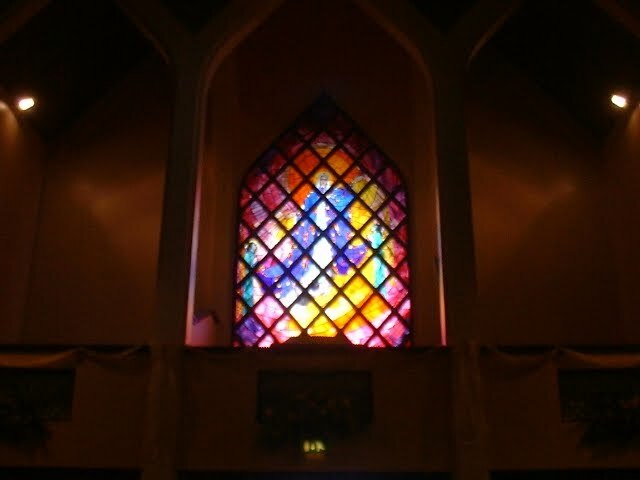 He was familiar with Latin, Greek, and Hebrew. In the treatise which he compiled for his scholars, still extant, he threw together all that the world had then stored in history, chronology, physics, music, philosophy, poetry, arithmetic, and medicine. In his Ecclesiastical History he has left us beautiful lives of Anglo-Saxon Saints and holy Fathers, while his commentaries on the Holy Scriptures are still in use by the Church. It was to the study of the Divine Word that he devoted the whole energy of his soul, and at times his compunction was so overpowering that his voice would break with weeping, while the tears of his scholars mingled with his own. He had little aid from others, and during his later years suffered from constant illness; yet he worked and prayed up to his last hour. The Saint was employed in translating the Gospel of St. John from the Greek up to the hour of his death, which took place on Ascension Day, 735. “He spent that day joyfully,” writes one of his scholars. And in the evening the boy who attended him said, “Dear master, there is yet one sentence unwritten.” He answered, “Write it quickly.” Presently the youth said, “Now it is written” He replied, “Good! thou hast said the truth—consummatum est; take my head into thy hands, for it is very pleasant to me to sit facing my old praying-place, and there to call upon my Father.” And so on the floor of his cell he sang, “Glory be to the Father, Son, and Holy Ghost;” and just as he said “Holy Ghost,” he breathed his last, and went to the realms above.